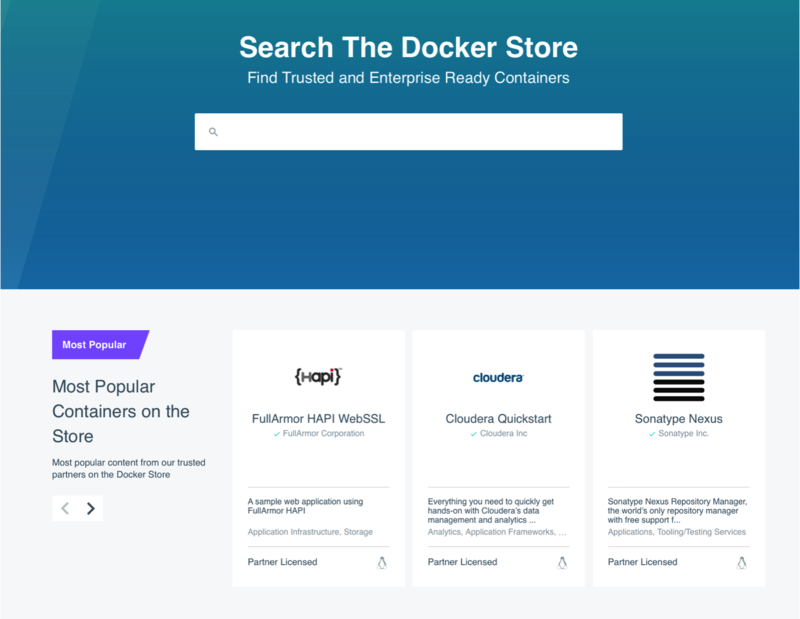 While Docker already offered its own registry for containers, too, the Docker Store is specifically geared toward the needs of enterprises. 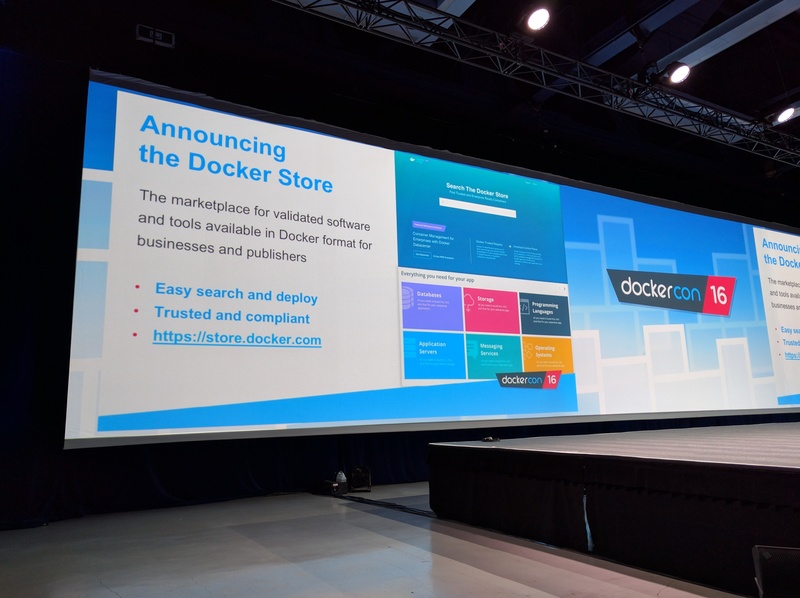 The store will offer enterprises “with compliant, commercially supported software from trusted and verified publishers, that is packaged as Docker images,” the company says, and feature both free and paid software. Unsurprisingly, Docker will take a cut when a user installs a paid application through the store (though what exactly this revenue share agreement for paid-via-Docker content looks like is currently unclear). The publishing process focuses on ensuring the quality of the container images and Docker notes that all the content is verified by the company and includes licensing information to support enterprise compliance. According to Docker, the number of containerized apps has grown 3,000 percent to 460,000 apps in the last two years and more than 4 billion images have now been pulled from the Docker Hub and image repository. 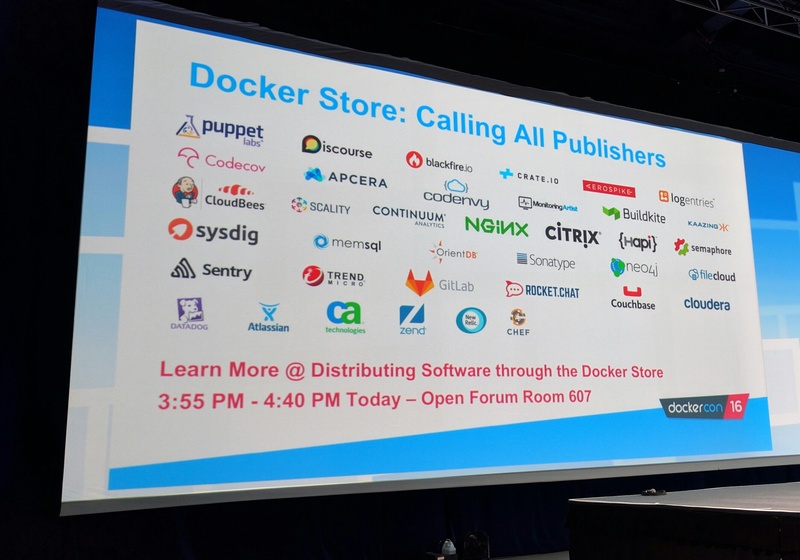 Docker stressed that the marketplace will give publishers access to the company’s growing customer base. The Docker Store is now in private beta, likely because the company wants to bring in more publishing partners before opening it up to all. Current partners include the likes of Chef, New Relic, Citrix, Splunk and Nginx.